It has been a frustrating season for everyone, ... 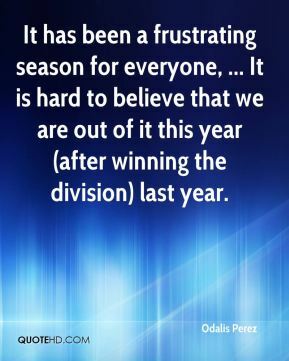 It is hard to believe that we are out of it this year (after winning the division) last year. 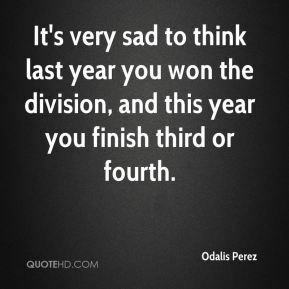 It's very sad to think last year you won the division, and this year you finish third or fourth. Playing the way we were playing, I didn't have the desire to come to the ballpark. 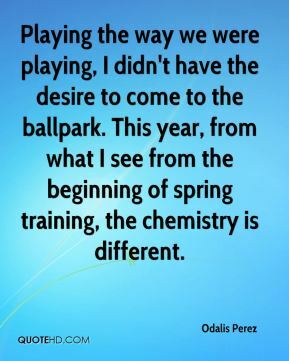 This year, from what I see from the beginning of spring training, the chemistry is different. By far. Because even if we had great players in the past, they didn't communicate like these guys and talk to the young guys. This year is different. 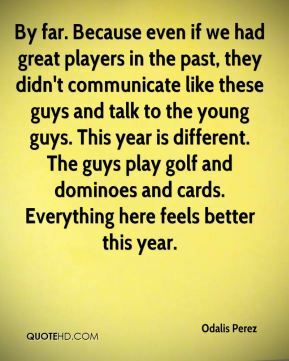 The guys play golf and dominoes and cards. Everything here feels better this year. 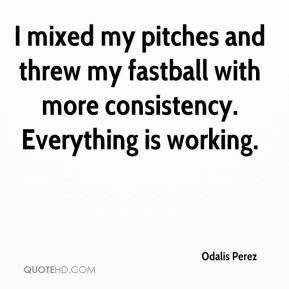 I mixed my pitches and threw my fastball with more consistency. Everything is working.